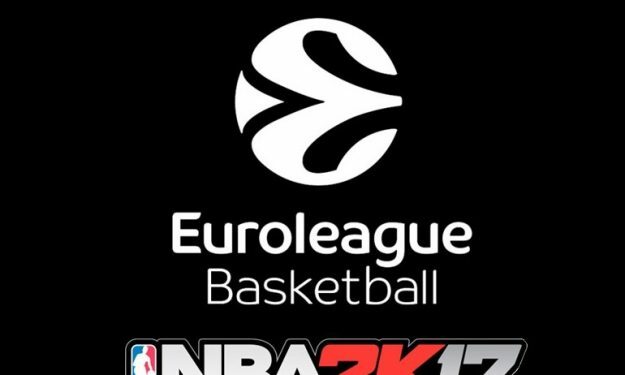 2K and Euroleague Basketball announced today that NBA 2K17, the latest release in the award-winning basketball video game franchise by Visual Concepts, will feature 21 of Europe’s top teams, for the first time including all 16 competing Turkish Airlines EuroLeague teams from the upcoming season. The five additional teams come from the 7DAYS EuroCup. On the day of release, 16 September, fans of every team that competes in the 2016-17 EuroLeague can instantly enjoy the action as their favourite EuroLeague players prepare for the competition’s start on October 12. “We’re happy to continue our collaboration with the EuroLeague, and are excited to see the line-up for the upcoming season fully available in NBA2K17,” Alfie Brody, Vice President of Global Sports Marketing at 2k, said. “Having all EuroLeague teams and their stars in NBA2K17 makes this a special edition for fans, who we are sure will enjoy what our clubs and stars bring to the game,” Roser Queraltó, Euroleague Basketball’s Chief Business Development Officer, said.